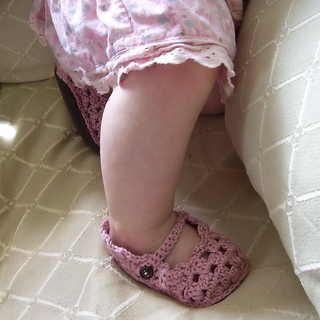 Crocheted Mary Janes featuring soles made of suede sherpa fleece available. These are wonderful for when your little one begins to walk. 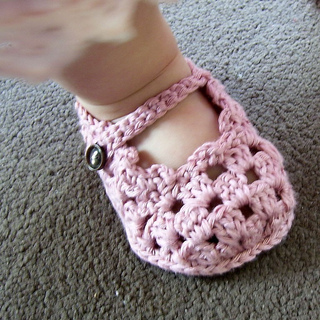 Crocheted upper uses sport weight cotton yarn or sport weight yarn of choice and a size d (3.25mm) hook.